Two Massachusetts towns want to ban Lazy Cakes, brownies that contain melatonin, following reports that they made children sick. A 2-year-old boy from Arizona had to be hospitalized after he took a few bites of a relative's Lazy Cakes, and fell into a deep sleep. Melatonin is a brain hormone that controls the body's sleep-wake cycle. It's relatively safe for adults, but if children consume too much of it they can fall into a sleep so deep that it's difficult to arouse them. Lazy Cakes contain about 8 milligrams of melatonin, and experts say a typical dose for many children is about .3 milligrams, and adults don't generally consume nearly the amount present in the brownies. The mayors of the Massachusetts towns of Fall River and nearby New Bedford want to ban sales of Lazy Cakes, saying the product's packaging -- which includes a cartoon brownie on a bright-purple background -- is too appealing to children. Baked World/HBB, the Memphis maker of Lazy Cakes, emphasizes that the label states the product is for adults only. "Most melatonin overdoses in children are not necessarily life-threatening, but they are associated with not only deep sleep but also with nausea, gastrointestinal problems, changes in mood, headaches and other effects," said Dr. Steven Lipshultz, executive dean for children's health at the University of Miami's Miller School of Medicine. Children consuming too much melatonin is a documented problem. According to the American Association of Poison Control Centers, melatonin accounts for more calls to poison centers than any other herb or supplement, and most of the calls involve children. Melatonin has also made its way into beverages that are marketed as "relaxation" drinks. With names like Unwind, Vacation in a Bottle and iChill, the drinks are aimed at people who need a way to take the edge off a stressful day. In addition to melatonin, these drinks contain such supplements as valerian root and rose hips, which are known for their sedative effects. Some relaxation beverages do not contain any melatonin and instead include a combination of other supplements. 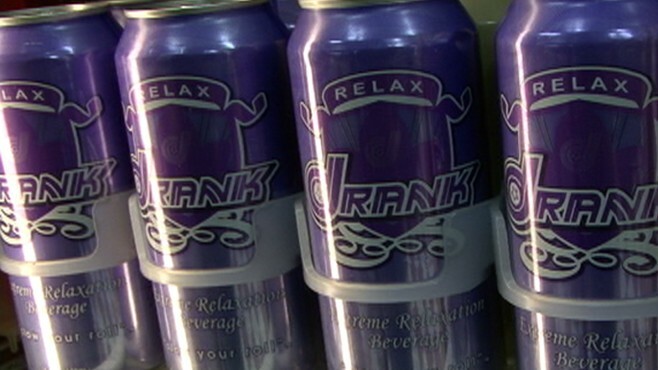 Regardless of the ingredients, experts say the drinks may not offer the relaxation people are seeking. "Valerian root has been used to treat insomnia, but ... it's not always clear how much is in the drinks," said Keith Ayoob, associate professor of pediatrics at the Albert Einstein College of Medicine. "Often, there is so little that it's basically a marketing gimmick." "Many of them have a placebo effect and have no documented pharmacological or physiological effect," said Bruce Goldberger, professor and director of toxicology at the University of Florida College of Medicine in Gainesville. Some companies say their drinks simply offer an alternative to medication -- or alcohol -- that help people relax. Peter Bianchi, CEO of Innovative Beverage Group, told "Nightline" his company's beverage, Drank, "is an all-natural relaxation beverage. At the end of the day, you're not turning around and grabbing for that medicine cabinet or a bottle of liquor." Despite experts' skepticism, profits from relaxation drinks are expected to soar. According to data from IBISWorld, a Los Angeles industry research firm, the relaxation drink industry will earn about $75 million this year and will continue to grow close to 30 percent a year over the next five years. There will be about 390 such drinks on the market, up from 350 in 2010. Experts believe the market is growing in large part because young people are looking for a way to offset the effects of the Red Bulls, 5 Hour Energies and other energy drinks they consume in larger and larger numbers. "Children and teens consume energy drinks and feel jittery, and then consume these relaxation drinks to counteract the effects," said Lipshultz. "It's all just a reinforcement of how our society is dependent on chemical substances," said Goldberger. The Food and Drug Administration has raised questions about the safety of melatonin as a food additive. In early 2010, the agency sent Drank's manufacturer a letter warning it that the melatonin in its drink is not an approved food additive. That case is still ongoing, said the FDA. Until more is known about the safety of these drinks, experts strongly advise people to address their body's needs in other ways. "If you need help waking up and then relaxing, then you need a 'wake-up call' of different sort, because your life is becoming overwhelming. Drinks shouldn't be for that purpose," said Ayoob. +Energy Drinks: A Risk For Your Children?